Purchasing a camera is confusing, there are literally hundreds of options but here at ReviewStew.Net, we are here to help. High end compact cameras have emerged as a competitive market in recent years, as consumers turn back to traditional cameras for the extra zoom capabilities and better image quality. Smartphone cameras have come far, but would definitely not match the quality of the cameras we are comparing today. 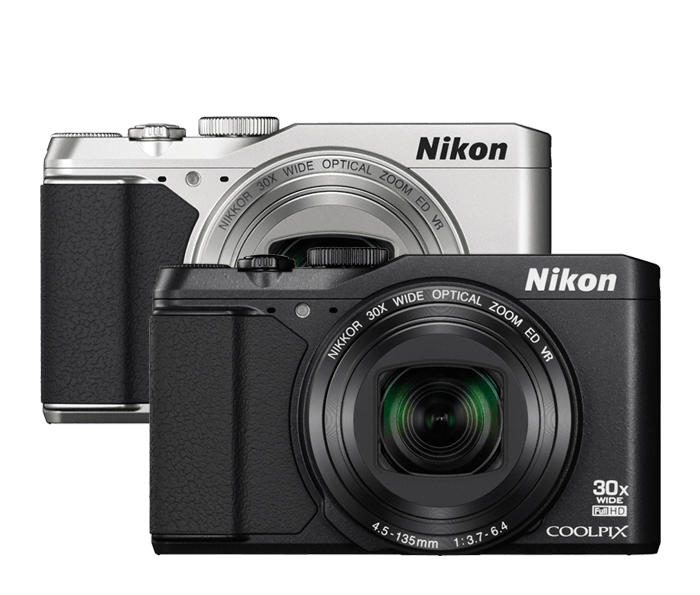 I’m Rory Tait and today I’m comparing two high end digital cameras, the Sony DSC-HX60V and the Nikon COOLPIX S9900. Both of these cameras are available from Amazon and are in the $300-500 price range. Based on a quick browse of the specs for each, the Sony DSC-HX60V seems to be superior, but let’s have a closer look and evaluate the pros and cons. First let’s look at megapixels, there is quite a difference between the cameras. With Sony having 20MP and the Nikon just 16MP. While this gives Sony an edge, don’t make up your mind yet, megapixels aren’t everything. Neither camera has a particularly special design with the Sony inheriting the same design as its predecessor while the Nikon sports an older-style design available in silver or black. When making a choice on the Nikon, I recommend the black because the silver looks cheap and tacky. One good thing about the Sony’s design is its hand and thumb grips. They make it very easy to operate the camera with just one hand. The Sony also has a hotshoe which can allow you to attach accessories such as a larger flash, which is something the Nikon lacks. The target audience for these cameras are travellers who want the compact size of a digital camera but the amazing zoom capabilities of a larger one. Because of this, the zoom on both cameras is huge. 30x optical zoom on each, boosted to 60x on the Sony with their Clear Image Digital Zoom and an extra 4x on the Nikon. Click on the image above, to go to Amazon.com and learn more about the Nikon S9900. Both these cameras have 3 inch displays, 7.5cm. Many say that the screen quality on the Sony is much lower than usually expected from the company. It should also be noted that on both cameras the screen can be rotated to face forward, making them ideal for selfies. Both cameras feature a pop up flash, but unfortunately it is a manual pop up. While this is the accepted norm on this level of camera it is still quite irritating. Adding to this, the Sony’s flash is known to be overpowering and could wash out photos. Battery life is significantly better on the Sony than the Nikon. With 380 photos or 190 minutes of video on the Sony while the Nikon will only last for 300 photos or 60 minutes of video. Both cameras feature WiFi connectivity, allowing you to easily transfer photos from your camera to your phone, tablet or laptop. The Sony DSC-HX60V and Nikon S9900 are both very similar in terms of weight. The Sony weighs in at 272 grams, 9.59oz while the Nikon is 289g, 10.2oz. These weights include memory card and battery. In terms of size, the Sony is a few millimetres smaller in length, width and depth. Click on the image above, to go to Amazon.com and learn more about the Sony HX60V. Some general feedback on the Nikon is that it’s vibration reduction is very good, as is the auto focus, but in low light conditions the camera suffers. Many note that the Sony’s image quality is very similar to the much more expensive RX series cameras, but the build quality is lacking and the HX60V is not very good for video, reviewers recommend looking into other cameras if that is going to be the primary use. Overall, I would still recommend the Sony because of it’s slight edge over the Nikon with the hot shoe, extra digital zoom and better battery life. And while megapixels aren’t everything, the extra few on the Sony does make it a more attractive option. Despite this the Nikon S9900 is still a good option, it just doesn’t quite match the Sony HX60.